An affordable solution for recreation applications. Perfect size for tailgating,camping and power tool use. Rated 5 out of 5 by george56 from Quality&Reliability In a uncertain world of power supply. This product speaks for itself. 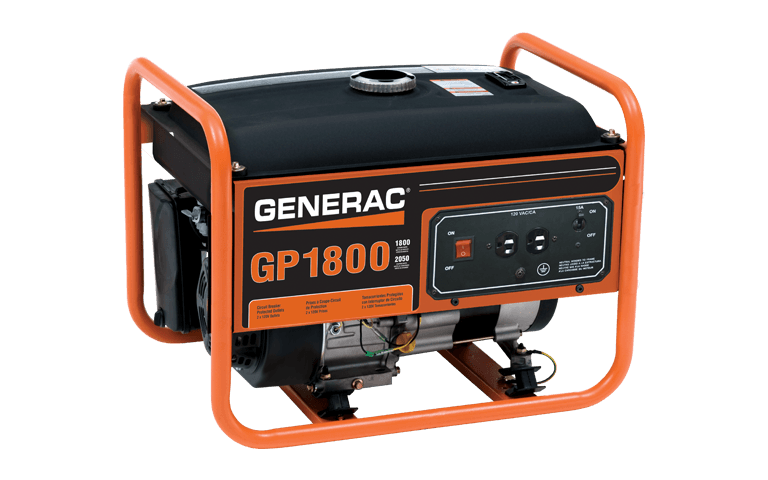 It provides me with peace of mind.Small size and ease of use.Provides all of my minimal needs powering home camping and fishing.Highly recommend this generator. Rated 5 out of 5 by stevoNJ from Outstanding value and quality Bought this for camping. Use it to run lights, music and coffee maker. Needed something easy to start and dependable. Two 20 amp outlets just fine. 1-2 pull start up, ran nearly 12 hours 1st day on the job. Easy to transport. Rated 5 out of 5 by loretto27 from Great for me Being a senior citizen,I needed less complicated products.This generator is exactly what I needed for me to maintain.Not as heavy as some and makes it easier for me to move it without help.Coming from an area with frequent storms causing power outages, this is just right for what I need.. Rated 4 out of 5 by REF42 from Still think I made a good choice, BUT,... The first, "just out of the box" test run was at once a success and a failure. The success: It started (took a few pulls but that's no surprise with the carb and fuel lines empty) and ran smoothly (it's quieter than I expected - a bonus). The "fail" part: BOTH vibration mounts on the unit's left side ("left" relative to the end where the recoil starter, air cleaner, and choke lever are located) BROKE (rubber and metal separated) while I was attempting to start it (and no, I didn't use excessive force pulling the starter rope). I'll be contacting Customer Service about getting replacements. Rated 5 out of 5 by Viv53 from Great purchase This was recommended by the salesperson and as we stood in the checkout line another customer told us how happy he was with the one he purchased last year. It is easy to start and operate. Makes washing lawn equipment easy. We're happy with our purchase. Rated 5 out of 5 by Glen from Great for motocross track! We got tired of being hot and sitting in the dark. Unpackaged unit and filled with supplied oil and added fuel. Came with choke in the on position and started first pull. Runs lights, fans, tv, and cell chargers easliy. Not super quiet but not loud for what it is. Very happy so far!! Rated 5 out of 5 by R from Just what I needed, when I needed it. Ran my freezer, fridge, and sump. It was not the generator I wanted. But when water is running in. I bought the last one on the shelf and I could not be happier. Ran for 72 hours straight without a problem. Also turns out I got a screaming deal. 25% off retail. Rated 5 out of 5 by Val55 from Very quiet and good on gas I bought this generator to keep our fridges going during a 4 day power outage but I was able to do more. It also produced enough power to also run with the fridges a few lights, or my water pump or my sump pump. It's also light enough that one person can handle it quite easily. It starts very easily so practically anybody could start it. Great generator for the price. GP1800 is rated 4.7 out of 5 by 15.